Need an outdoor activity that is loads of fun, but educational too? This is it! 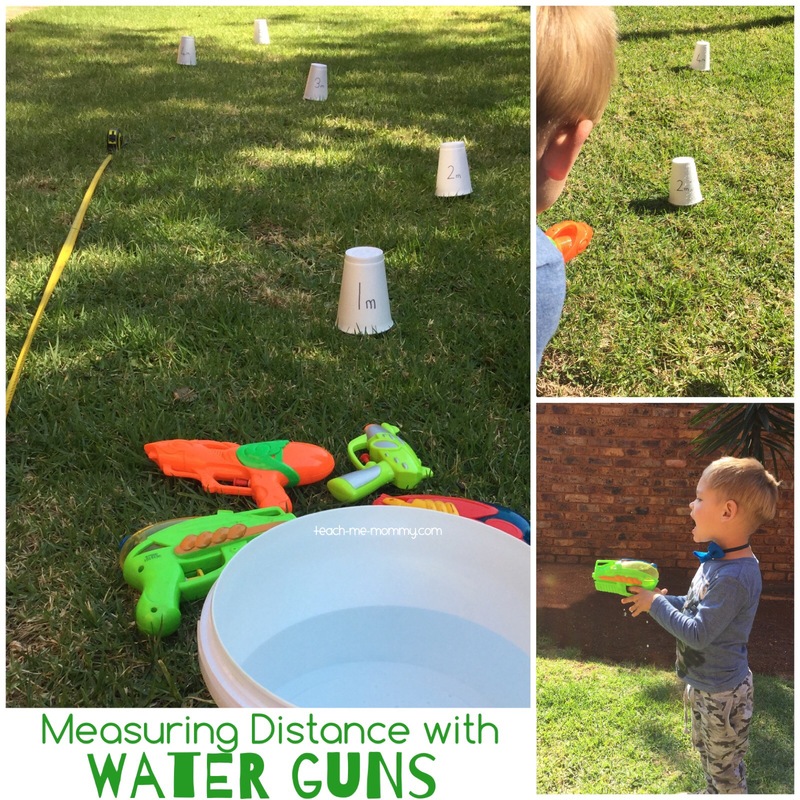 My kids had a blast with this fun distance measuring game using water guns! 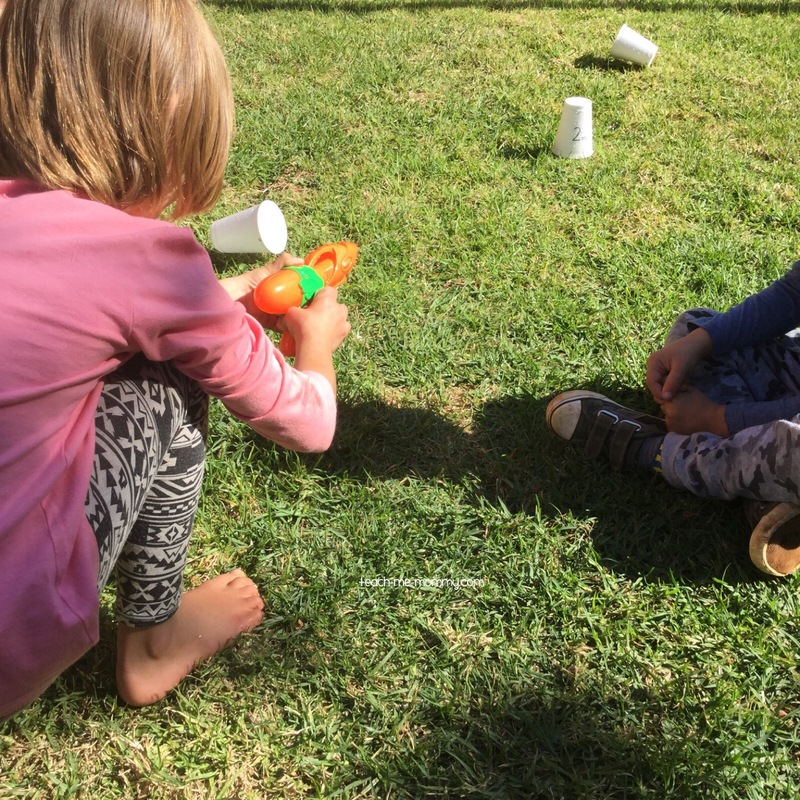 We used our water guns, polystyrene cups and a measuring tape . 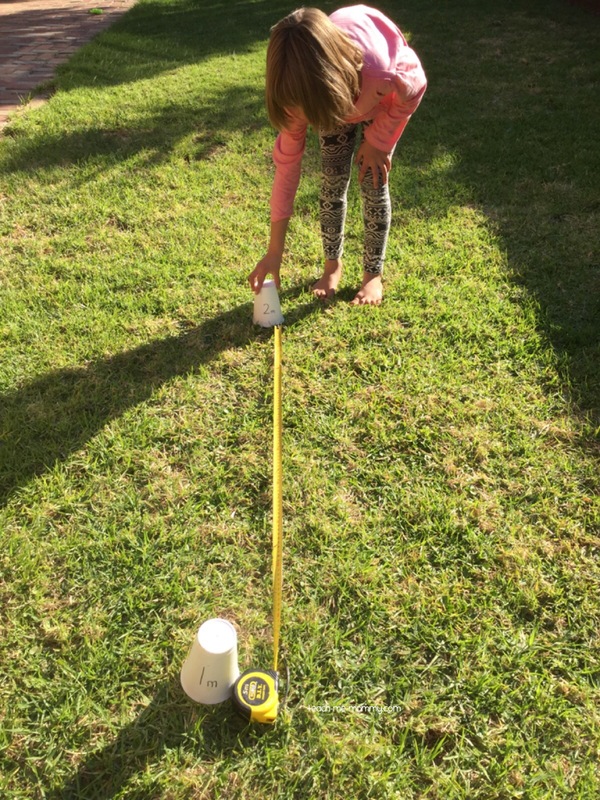 My almost 6 year old helped to measure the distance between the cups. The cups were marked 1m to 5m, so she had to find the 1m on the tape(which is actually 1000cm, incidental teaching moment there) and place the cups in the right order too. 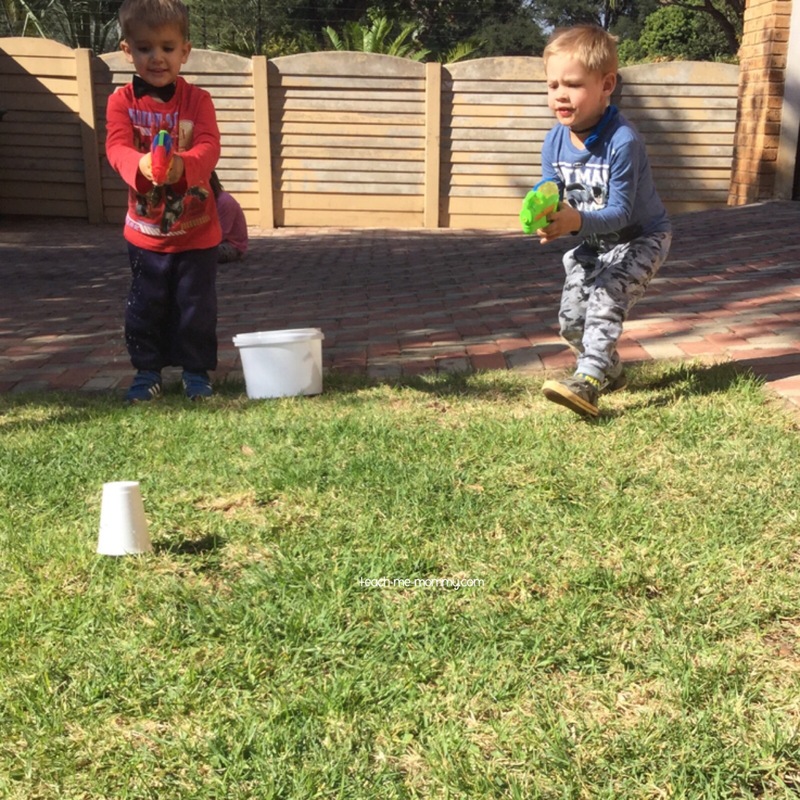 The kids had to fill their water guns, aim at a cup and try to knock it over with the water stream. This was quite hard(of course I had to show them how it’s done, and even I struggled), but they figured out that the level of aiming makes a difference. And do you know water guns are great for hand muscle practice too! We did not focus much on the measuring part of the activity, but with older kids one could extend this activity by converting the meters to centimeters or doing simple sums but making this into a game. For each cup you knock down you get point, but you have to add it up! 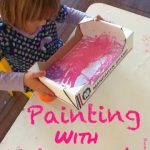 The water guns make this activity extra fun and would make a great party game too! Just how big were Dinosaurs?